Experience-based communication in the analogue moment, created by digital freedom. 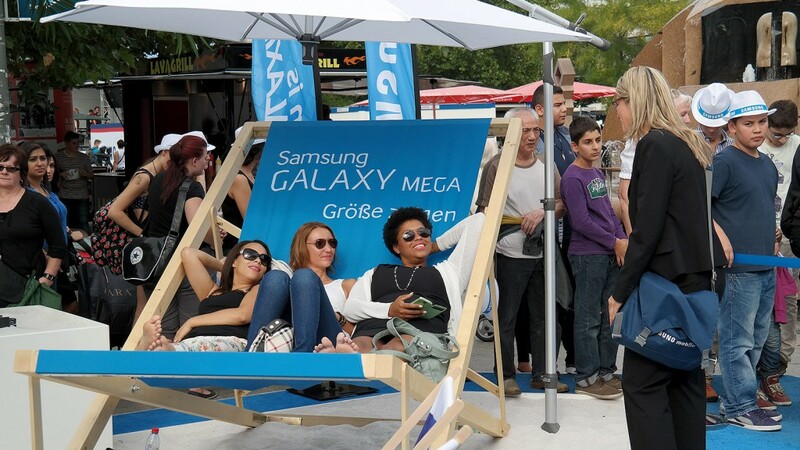 Within a period of three years, we managed, together with Cheil Germany, to create and develop a self-contained live communication campaign for Samsung Germany. 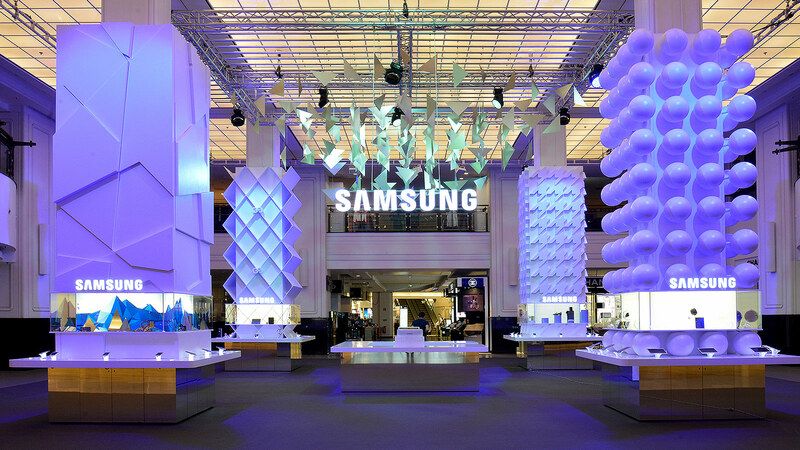 Looking beyond the timeframes of the respective campaigns, we were able to transform some of the formats into roadshows – the “Galaxy Studio,” for example, toured shopping centers for two years. The campaign “Dive into the Blue” gave us the chance to show our expertise in another aspect of our service spectrum: experience architecture. In this context, the motto “Dive into the Blue” also came alive in the window displays and in the atrium of Berlin’s KaDeWe. Cheil Germany took the lead in terms of communication, while the POS implemented the concept. 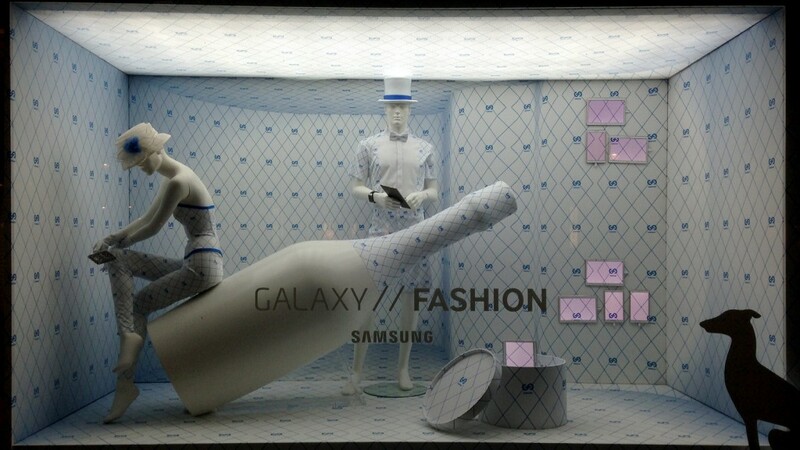 The result was a connection to the product presentation area of the “Samsung Luxury Store” that is based on the top floor of KaDeWe. As a strategically significant trade fair, the IFA draws consumers into the emotional brand and product world – this takes place both inside and outside the traditional exhibition halls. The content-based requirements and strategic points of reference during the IFA event revolved around the “Galaxy” product family. The challenge lay both in activating all relevant sales channels as well as in securing the involvement of interesting cooperation partners for the individual campaigns. It was this interlinkage that enabled the experience – both on- and offline – of an effective brand and product communication.